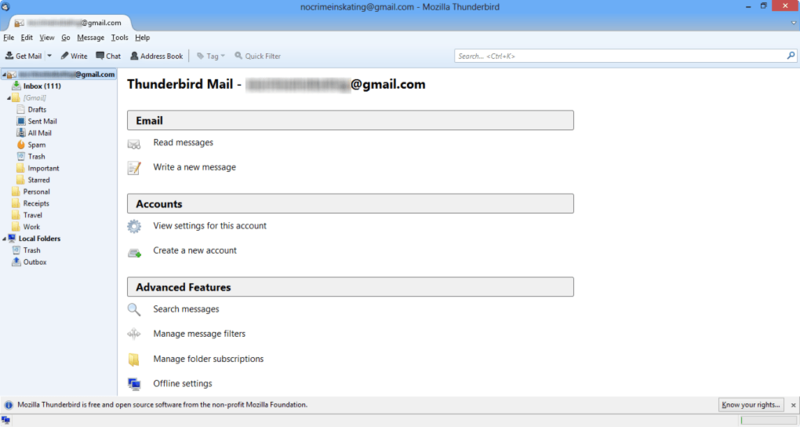 Thunderbird is a desktop email client, an alternative to Microsoft's Outlook, from the developers of Firefox. 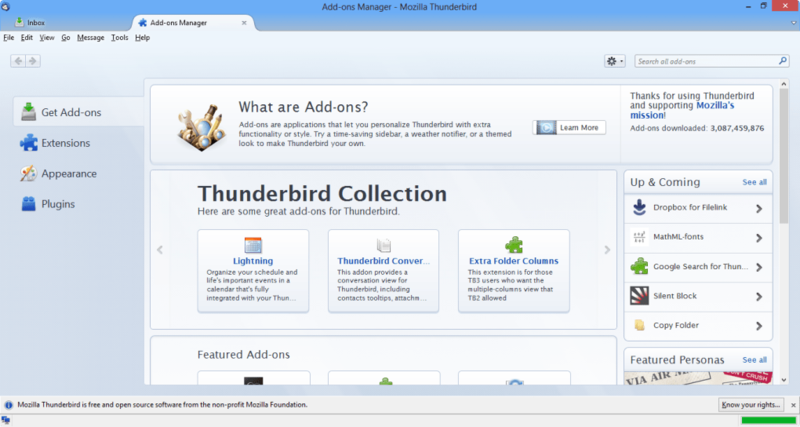 Thunderbird is Mozilla's award winning and free solution to manage your mail more efficiently. And there are many advantages of switching to it too. Unlike Mail for example, it can handle virtual identities and create on-the-fly addresses and it's widely regarded as having one of the best spam filters out there. Most recently, it's been updated with a slick tabbed interface to make managing your e-mail easier. 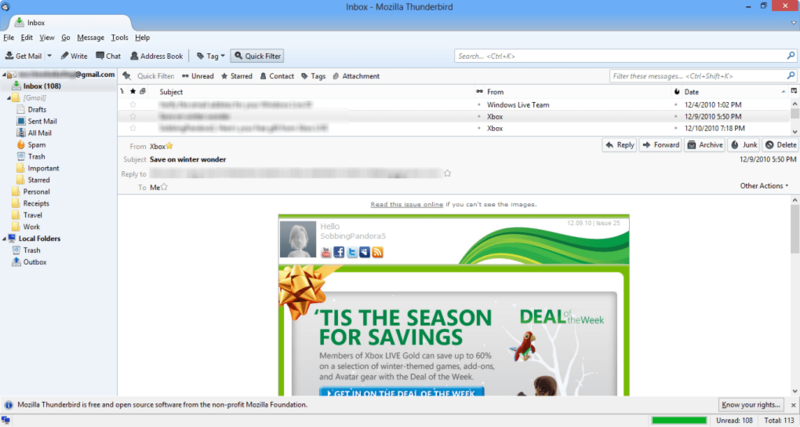 The fact that like Firefox, Mozilla Thunderbird can be beefed up with all manner of extensions makes it an extremely competitive mail client. It's also now much faster and more stable than before due to the Gecko 5 engine. Setting up Mozilla Thunderbird is painless. You can quickly import your mail and contacts from your Outlook or Mail account and set up POP3, IMAP or SMTP accounts in a flash. 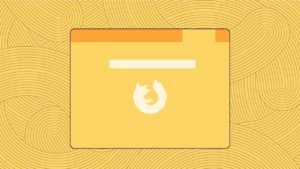 To stay well organized, Mozilla Thunderbird offers filters to deliver your mail into separate folders and inboxes. And of course, there's a built-in spell checker to make sure that your mails are professionally crafted. What makes Mozilla Thunderbird slightly more unusual is the fact that it comes with an integrated RSS reader. Nowadays, this is a little outdated because many people use a separate application - or even Firefox itself - to follow RSS feeds but it may be useful if you only want to mail and follow RSS feeds at the same time when composing mails. The search tool in Thunderbird is excellent and searches happen in real time as you type. Search results are displayed in a separate tab. Tabs in general are a very big part of Thunderbird and like Firefox, you can have multiple messages open in separate tabs. This is a fantastic feature of Thunderbird although does tempt you to have too many mails open at once. Archiving is also another handy feature for those that don't want to delete messages but want to clear space in their inbox. 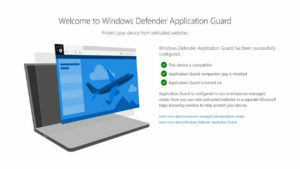 So what about security? You might think an open-source mail client would inherently be less secure than a paid one but Thunderbird is surprisingly secure with a fairly bulletproof spam filter. The reason being is that Thunderbird is regularly updated and crafted by volunteers who's main interest is making a better product rather than profiting from an end-product. Security updates are regular but small so as not to slow-down Thunderbird. One of the biggest selling points of Mozilla Thunderbird is that it offers Microsoft Exchange support, meaning it will appeal to Office users who previously discounted it. On the downside, the app is lacking some finesse in certain areas. Thunderbird still doesn't have conversation style email views like in Gmail (although an extension to do this can be downloaded separately) and there aren't many options for managing attachments and photos. There's also no calendar but again, this can be downloaded separately in the form of "Lightning". 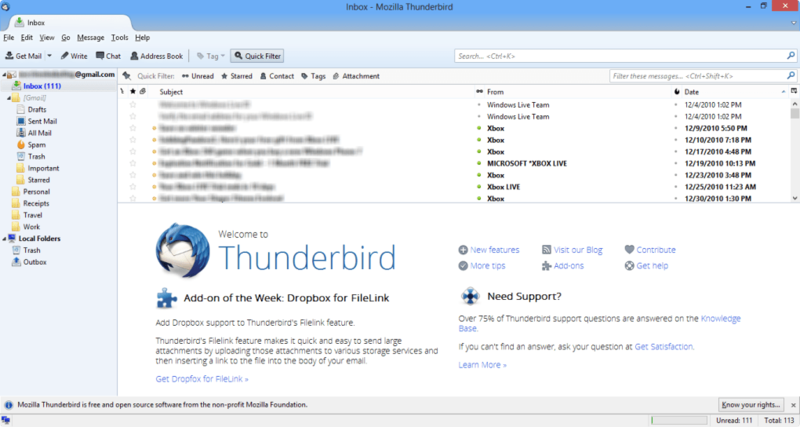 Overall, Thunderbird is an excellent free alternative to Microsoft Outlook. Want to check out more apps and software? Discover the best email clients for business in our Solutions page. Each email you receive passes through Thunderbird's leading-edge junk mail filters. Each time you mark messages as spam, Thunderbird improves its filtering so you can spend more time reading the mail that matters. Thunderbird will also use your mail provider's spam filters to keep junk mail out of your inbox. Thunderbird protects you from increasingly common email scams—also known as “phishing”—which try to fool you into handing over your passwords and other personal information. Thunderbird will tell you when it thinks a message might be a scam. 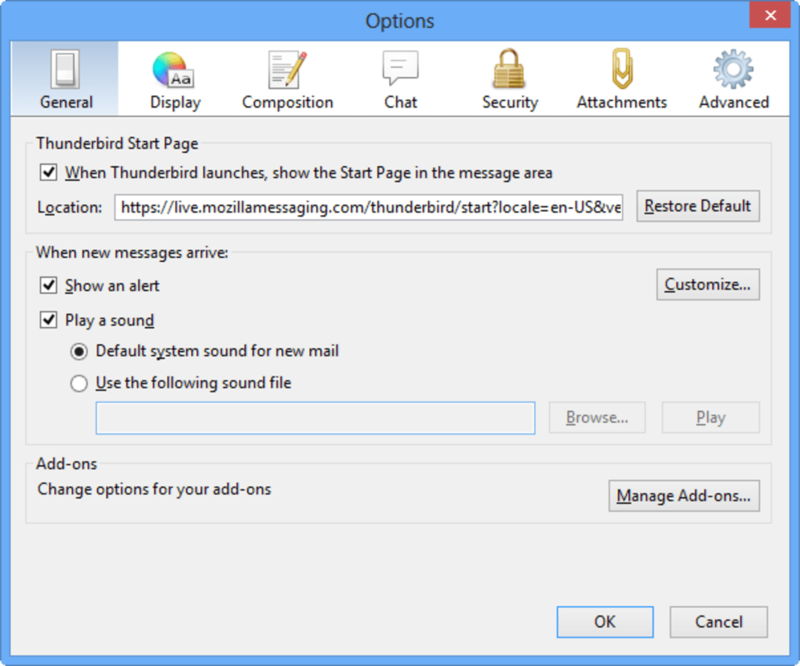 Select new button controls for your toolbars, install extensions to add new features, or change the look of your browser with themes—the way Thunderbird looks and works is under your control. I love it for 1 simple reason, - I trust it, I use firefox as well and I believe they won't use my personal information anyhow in Thunderbird (I wont get any unwanted spam adverts and they wont steal my logins etc.. it's free and it's reliable and trustful). I hate to give it rating of 5 (It's 10 really), but otherwise nobody will ever read the negative review below. I have no chance to leave feedback in any other way so I found this site. It's 2018 now, right? Why I need to download things like "Keep in taskbar" (from year 2011) or "Minimize to tray" or "Unread Badge"? IT IS BASIC FUNCTIONALITY, why the hell anyone in the world would want to have thunderbird in active tasks of taskbar when you close it??? When you close it it should just minimize to tray, or I'm too stupid? Why not just make life of 100000000000000 people simple and make it available in settings, or is it THAT HARD? Why need addon for things like this? Didn't like. Didn't like. I've tried it on Linux and it was pretty slow to sync. The interface layout is very uncomfortable for reading emails. Geary is much better. Thunderbird is the hardest worker on my PC.. I have to stay on Dial-up,and Thunderbird is the hardest worker on my PC. I have it set to go get mail from all kinds of sites and RSS feeds. Love It ! Looking to put it on a Android tablet now.